There is new hope for older women wanting to get pregnant with their own eggs. Older women can achieve a pregnancy using their own eggs through the phenomenal new medical technology known as ovarian rejuvenation. 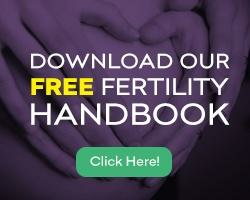 There are very few fertility clinics offering ovarian rejuvenation therapy. This is the specialized Assisted Reproductive Technology (ART) used to coax a woman’s ovaries into producing viable eggs and achieve a successful pregnancy naturally. At New Hope Fertility Center, our fertility specialist provide effective ovarian rejuvenation. The Ovarian Rejuvenation Therapy procedure is performed by injecting a woman’s Platelet Rich Plasma (PRP) into her ovaries while she is under anesthesia. The PRP injection punctures the ovaries and stimulates growth of egg follicles. The ovaries are infused with proteins rich in growth factors and stem cell chemoattractants. Many women have made the choice to delay motherhood into their late 30s or into their 40s. As a woman’s ovaries age, they are unable to produce the hormones that stimulate follicles to develop and make them reach a viable stage of development. Ovarian Rejuvenation Therapy involves the injection of a woman’s blood platelets into her ovaries to overcome ovarian aging – even post-menopause. Patients are monitored monthly to determine if the therapy was successful through blood and/or saliva testing. To schedule your Ovarian Rejuvenation Therapy consultation with one of the fertility specialists at New Hope Fertility center, click the icon below – or – call 917.525.5496.